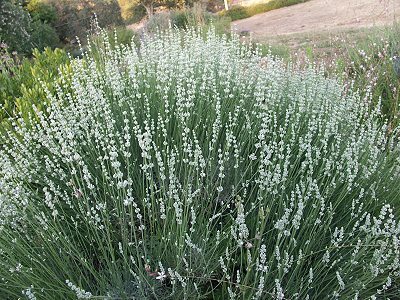 White Lavender may seem like an incongruous term, but it is really a gift for the garden. Setting off the deep purple of Grosso Lavender (pictured above), White Grosso Lavender is highly perfumed, and is perfect for fresh or dried bouquets. White Grosso Lavender makes a great addition to both our Zone 5-11 Fragrant Herb Garden Six Pack and our Crafter's Herb Garden Six Pack. This plant is often available in plug trays. These trays hold 128 of all the same plant. They are a great low cost way to fill a lot of space. Each cell is 3/4 of inch by an inch. Check here to see if White Grosso Lavender Plug Trays are available.